Sri Lanka tourism has celebrating its 50 years of existence this year. 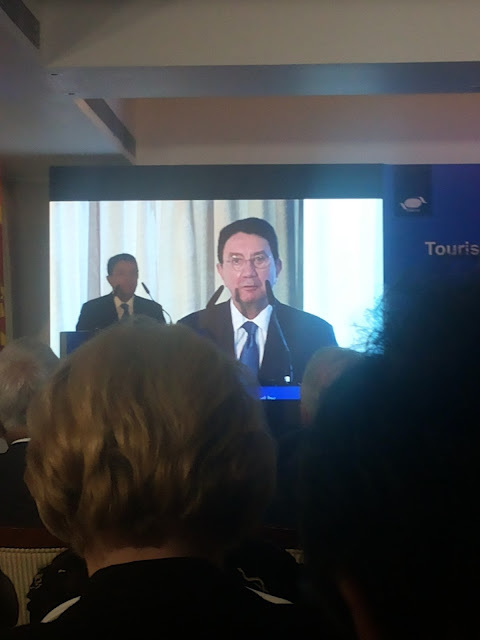 At the same time Sri Lanka tourism Minister and the chairman have requested to the UNWTO to conduct the International conference of UNWTO in Sri Lanka this year. 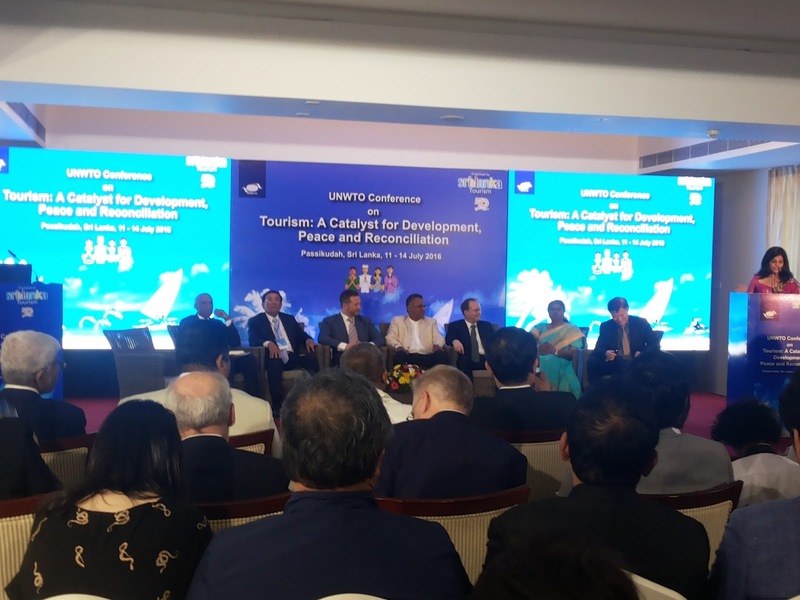 the request was accepted by the UNWTO and the Secretary General because the conference was proposed to hold at Pasikuda in the Eastern province of Sri Lanka. Eastern province is war affected area and they is a need for development. 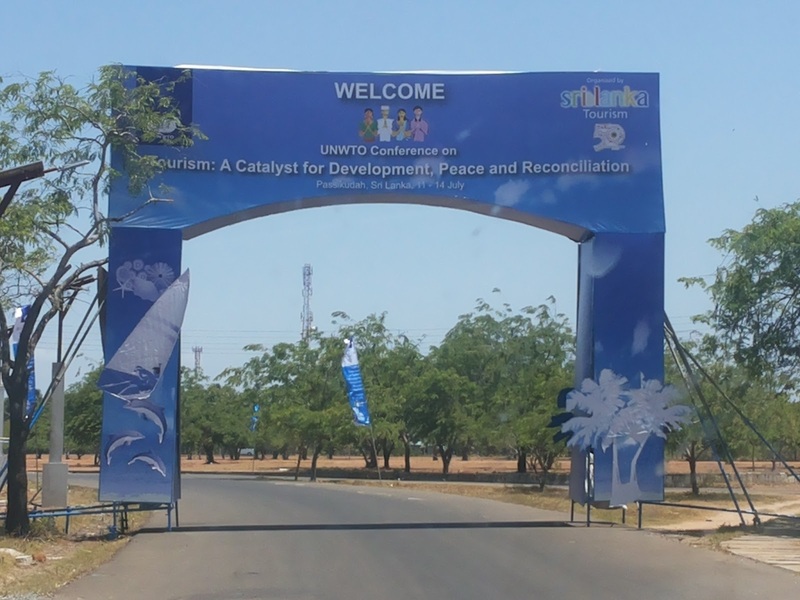 the conference was held in the theme of Catalyst of Peace, Reconciliation and Development at Amaya Beach hotel in Pasikuda on 12th and 13th July 2016. The GA (Mrs. Charles) presentation was most substantial and relevant in my view. She raised issues about farmers, unemployment etc. 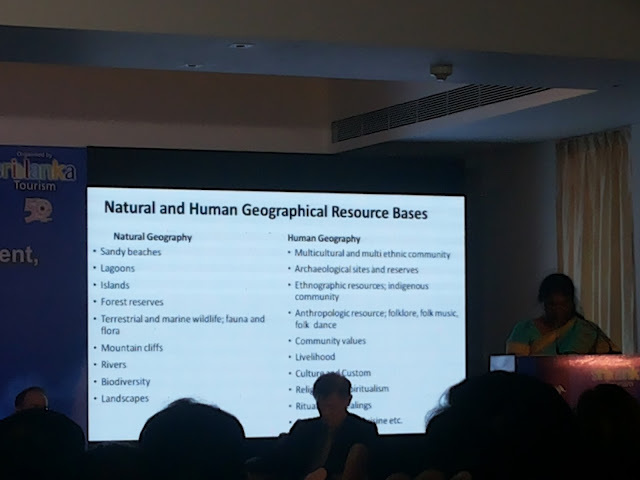 She also stressed importance of community based tourism, Eco-tourism etc. But said no point having "same old mass tourism with new labels". And mentioned there's damage caused by conventional tourist organizations. Also called to regionalize tourism. Later, privately to me, she said finalizing a plan and to give input. Few other speakers talked about importance of community participation, benefits to local community. Cambodian deputy minister mentioned how they use former combatants as tour guides. 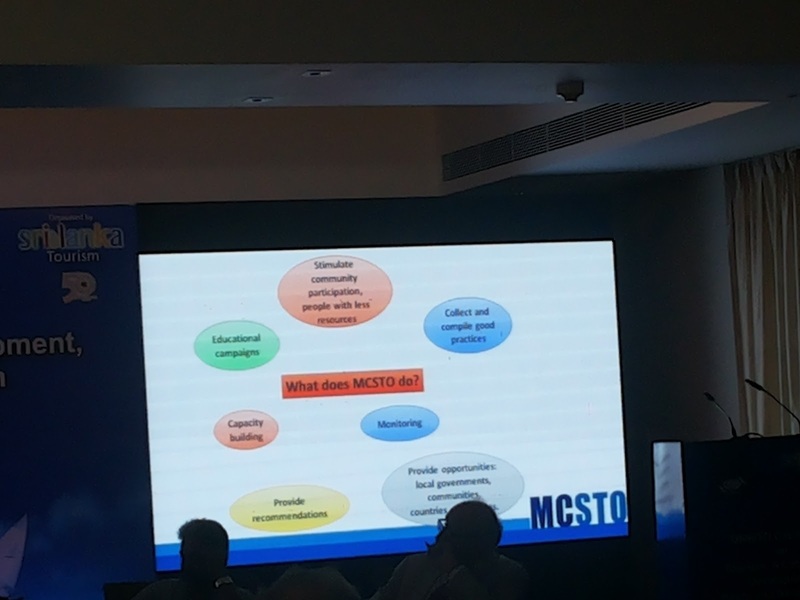 At one point, John Amaratunga asked SG on WTO whether tourism in SL is going in right direction. SG said yes. We expected to meet him and few officials...but he came with delegation of about 12-15. Several officials of WTO, key note speaker Princess Dana. About 3-4 officials from SLTDA, Chair of SLTDA, Chair of SL Paddy Withana, Chair of SL Tourist Hotel Association & Jetwing Chair Hiran Cooray. Chair of Malu Malu Chandra Wickramasinghe was also there. They initially said 30 min meeting. But went for 2 hours, so it seems they took us seriously? Rajan and Sashi from NAFSO, me and 3 community representatives from Pasikudah, Kuchaveli and Panama was in our delegation. We raised usual issues...land grabbing, effect on livelihoods, restrictions on cultural-social life, militarization. 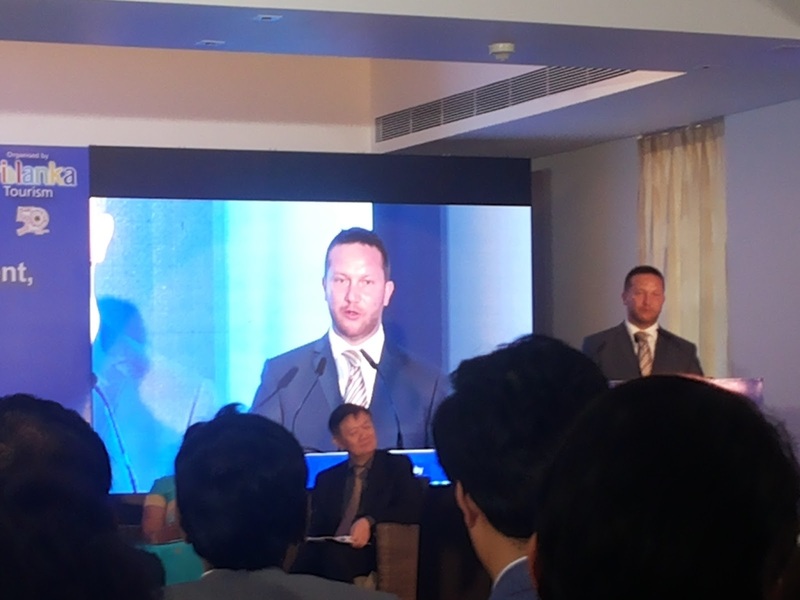 Also raised about national anthem being sung in Sinhalese at opening ceremony and information note to participants saying Sinhalese is only official language. SG apologized on national language issue. SLTDA didnt apologize. Chandra of Malu Malu talked about employing majority of local staff, including at mid-senior positions, including ex combatants, establishing computers / Emglish centres etc. etc. Also that he buys fish from local fisherfolk. SG stressed importance of principles, said accepted tourism must not negatively affect local populations, but said can't on into details about specific problems we presented. But he said fisherfolk and farmers must also be open to change and implied they could join tourism industry. Fisherman from Pasikudah reacted strongly and said fisherfolk and farmers must be allowed to continue their traditional livelihoods. There was quite a bit of argument with SG. But in end, SG agreed fisherfolk and farmers should not be forcibly be assimilated to tourism industry. There was also tension in terms of militarization. Hiran Cooray agreed military shudnt run hotels said he had also raised it with Army Commander. But he, SLTDA Chair and others also defended Army performing at the conference. I said militarization is accused of serious crimes and their involvement in tourism is counter productive to peace and reconcilliation. And said taking navy boats (as indicated in information note) makes the WTO and the conference complicit in militarized tourism. The 3rd serious tension and argument was when I said SG shouldn't have told SL tourism was heading in right direction, without voicing any concerns. He was very upset and said I can't say that. SG reacted stronglly to both and and asked me to withdraw both "accusation", and said he will stop the meeting, but I didn't withdraw and said that's my opinion. Meeting continued. SG said several times for us to have more communication and dialogue with SL persons at the table. I said there have been dialogues and when there's no results, confidence and hopes in dialogue reduces. And that there's no need for dialog on cases where there's court decisions, HRCSL directives and cabinet decisions - what's needed is implementation. But that on principle, we are ready to dialog.